Winter felt disturbingly long this year. 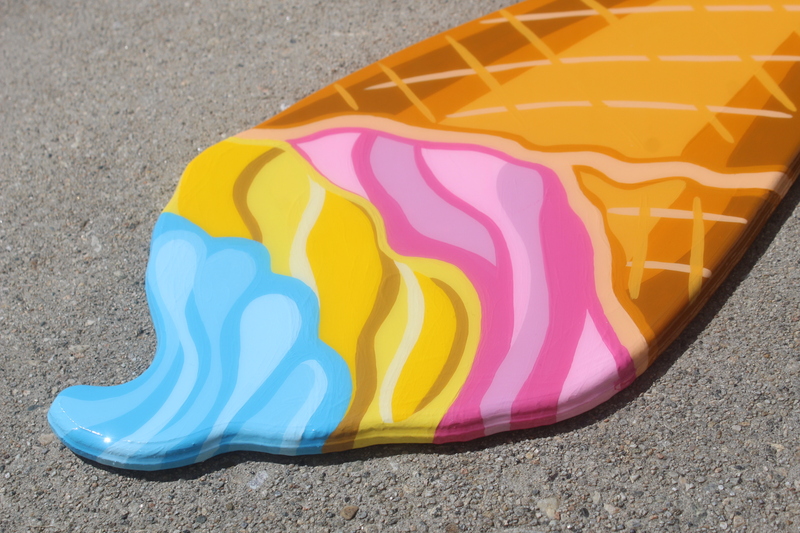 Los Angeles artist duo Idiot Box Art are ready to get their Summer on already. 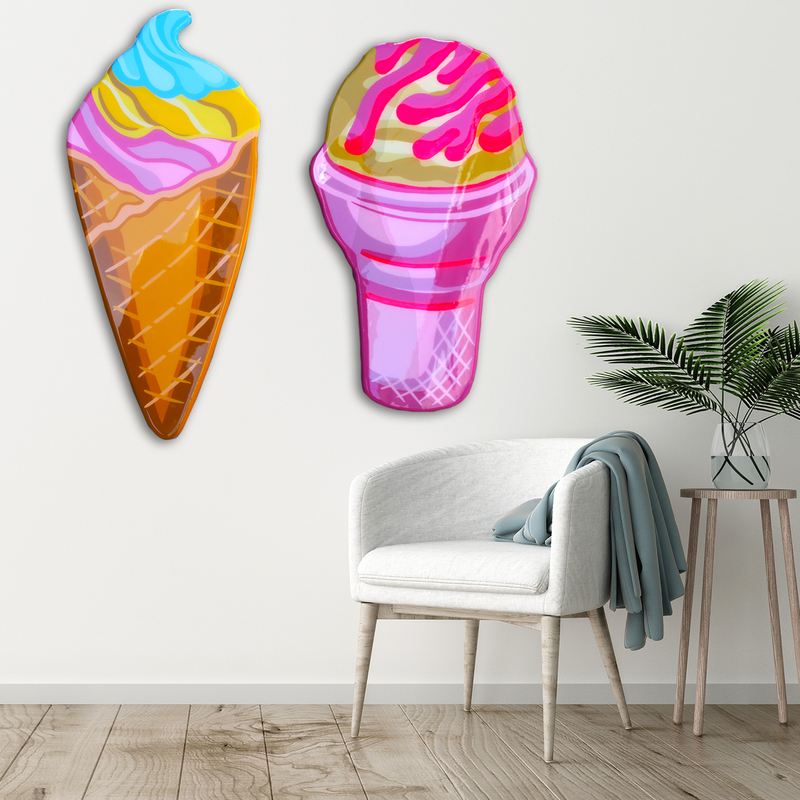 This week the wood-working duo is set to release a wooden sculpture collection titled "Guilty Pleasure" featuring yummy ice cream goodies. 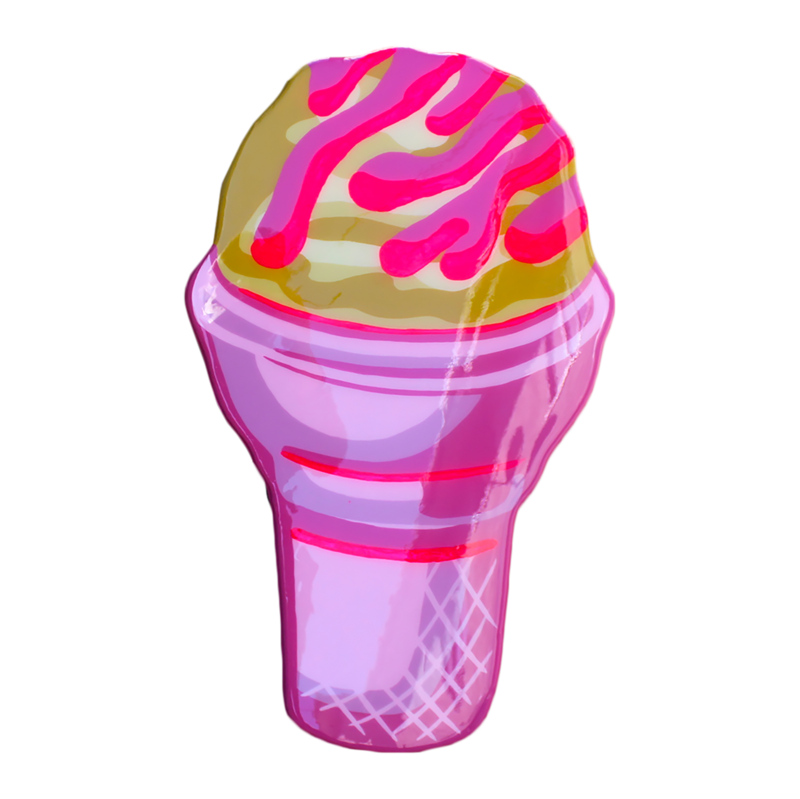 "We are total foodies, you can always find cereal and snacks in our studio." 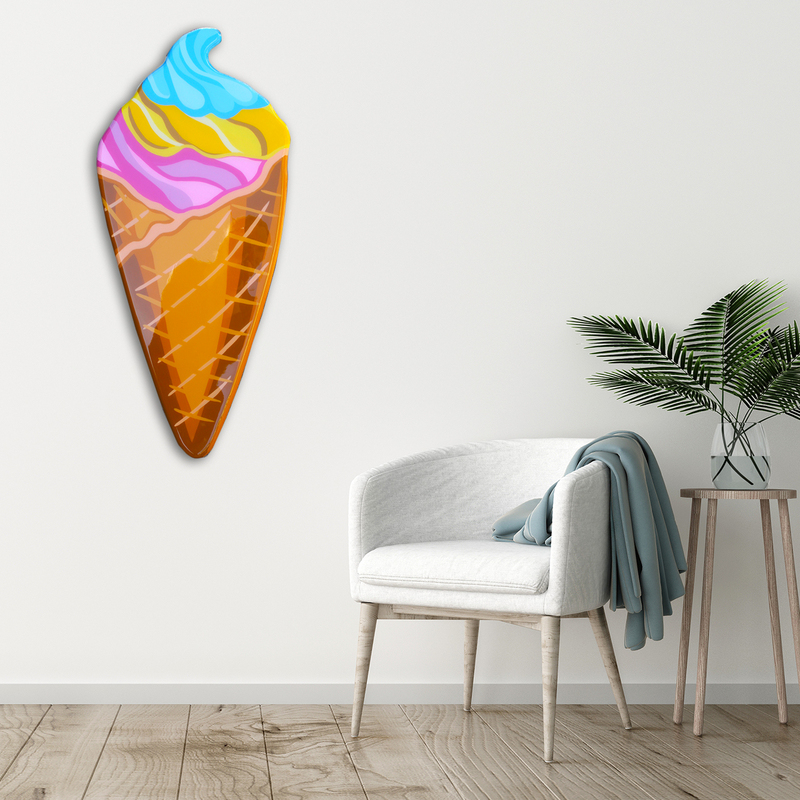 Each piece is hand-cut on wood, painted with acrylic and finished with a high gloss resin. Much like the art collection of Kylie Jenner we love to mix "luxury and play." 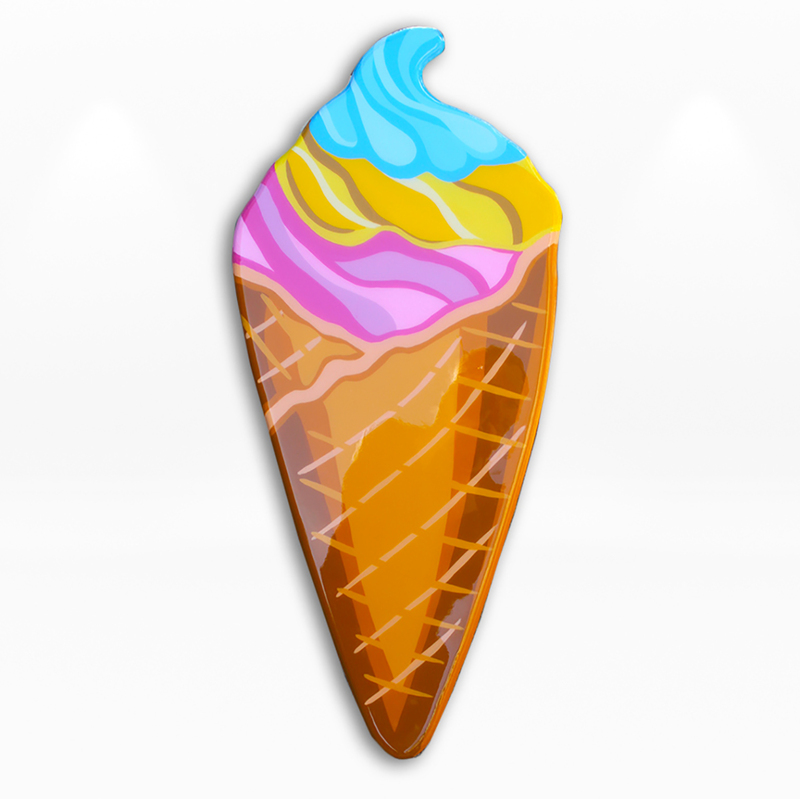 The result, a beautiful calorie free ice cream. 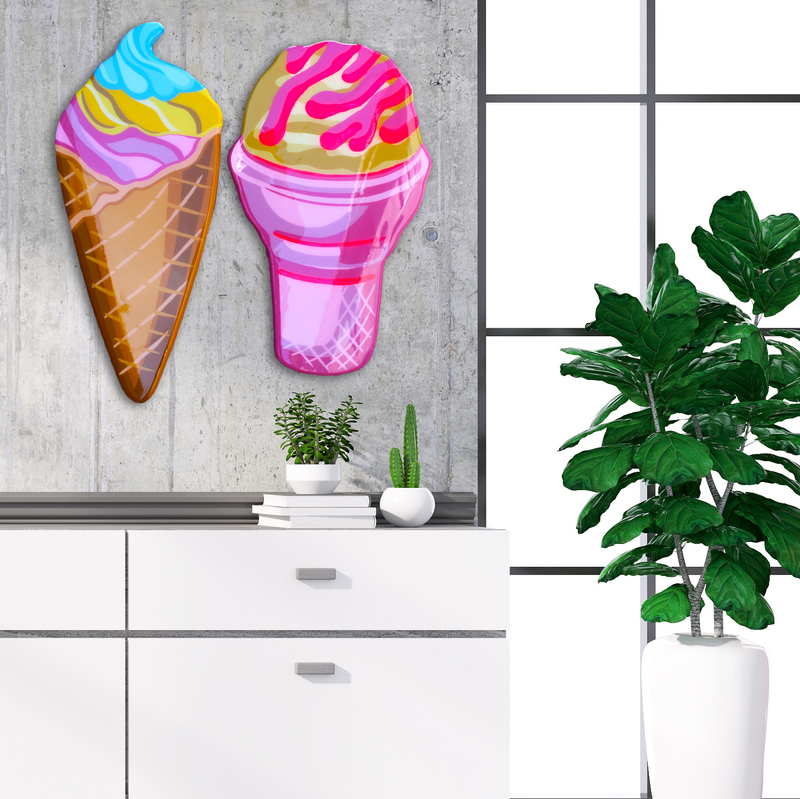 Each piece is light weight and easy to hang in any room of your home. Perfect size for your living room or bed room. Artwork by artist duo Idiot Box Art, is cute, fun and bold, but not to be underestimated. 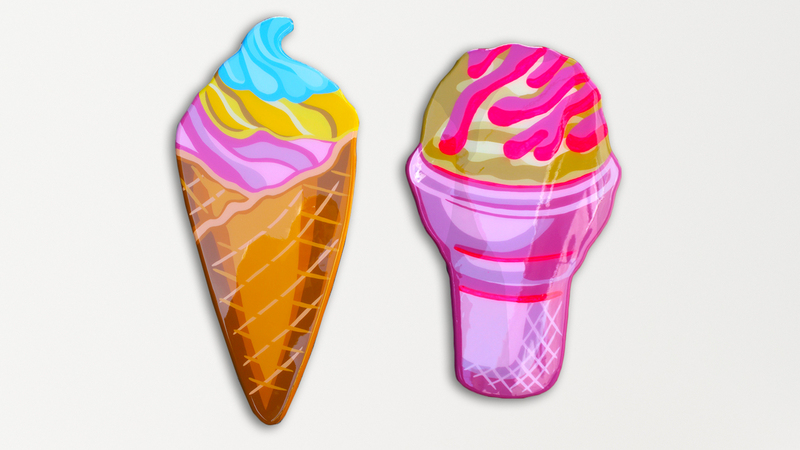 Each piece is hand-cut on wood, painted with acrylic and finished with a high gloss resin. Their passions include cartoons, exotic snacks and Yeezys. Their career first started with selling through markets like the Melrose Trading Post, and galleries Hale Arts and Bruce Lurie Gallery. 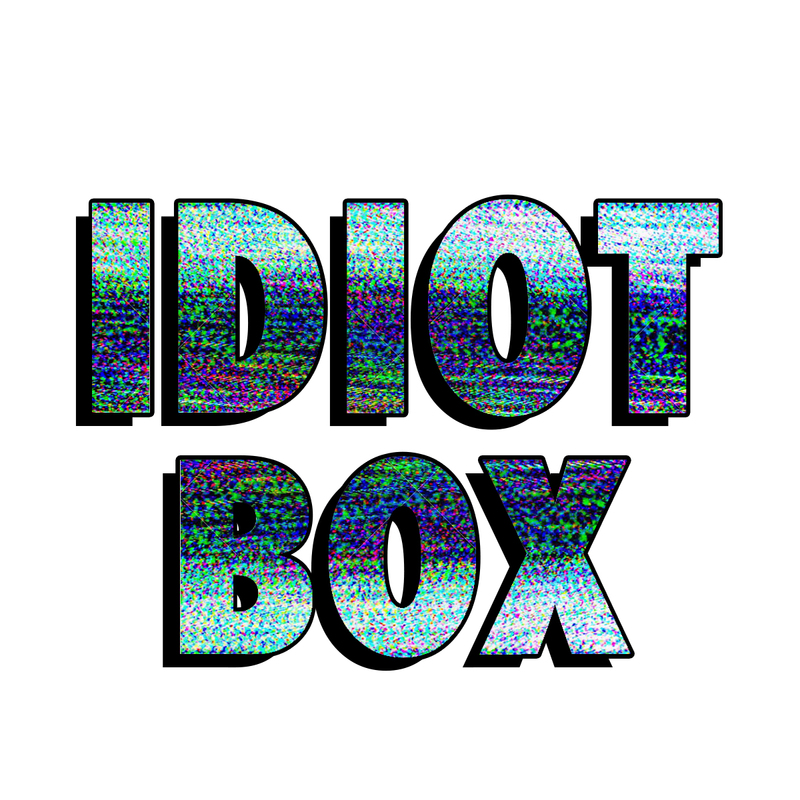 Idiot Box Art has recently opted out of the gallery scene, and have turned efforts towards a direct to collector approach. Leveraging tools like Facebook advertising and Affirm, Idiot Box Art sells their resin artworks exclusively online. When not painting or cutting wood, you can catch them killing off a bowl of Crunch Berries or throwing down on Nintendo Switch. 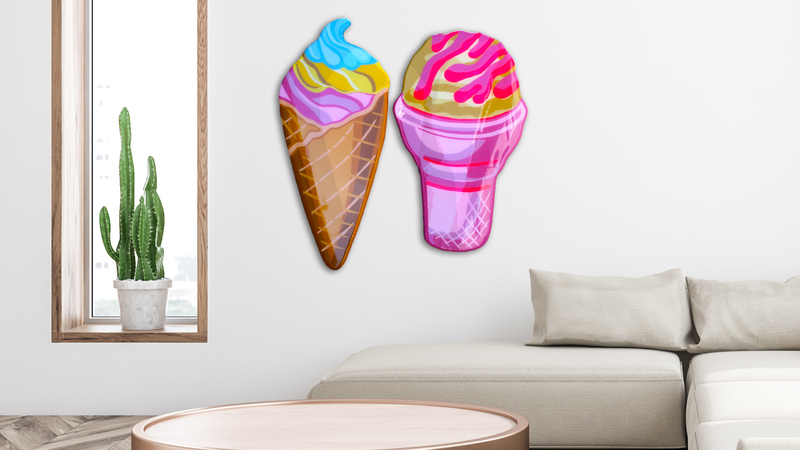 Their 90's cartoon collections have been featured on TMZ and Hypedfresh and can be found hanging in the homes of celebrities and social media influencers.